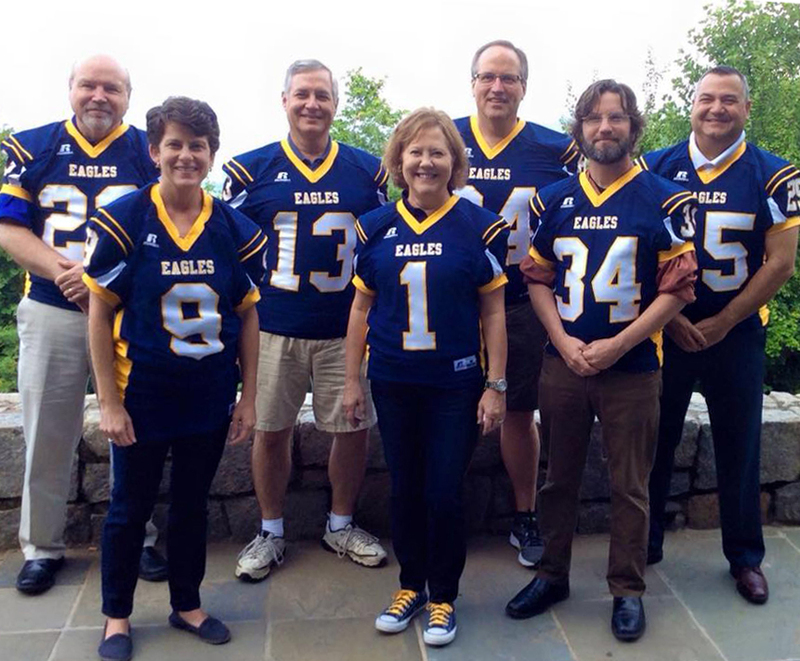 The Reinhardt Leadership Team includes (from left) Dr. Roger Lee, Julie Fleming, David Leopard, Dr. Kina Mallard, Tim Norton, Dr. Mark Roberts and Bill Popp. President Mallard has created a new senior management team to lead Reinhardt University. After her arrival in mid-May 2015, she promoted the Director of Athletics Bill Popp to the University’s Leadership team. Three vice presidents were in place when Mallard took the helm. They are: Julie C. Fleming, enrollment services; Dr. Roger R. Lee, student affairs and dean of students; and Dr. Mark A. Roberts, academic affairs. Tim Norton, advancement, was hired to follow JoEllen Bell Wilson ’61, and David R. Leopard, finance and administration, replaced Bob McKinnon. Both Wilson and McKinnon retired earlier in the year, and Mallard took part in selecting their successors.